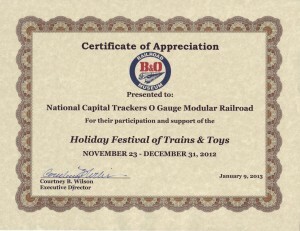 “In June of 1994, the then three-year old 501((3)(c) non-profit organization, National Capital Trackers, made their first appearance at the Fairfax Fair. 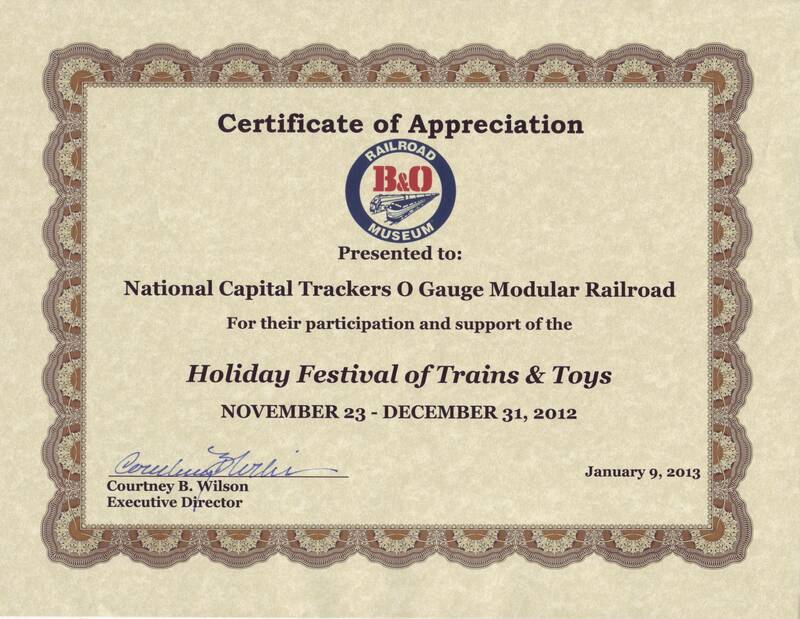 Featuring “O” Gauge model railroads, member displays produced by the National Capital Trackers were immediately among the must popular attractions at the Fair. 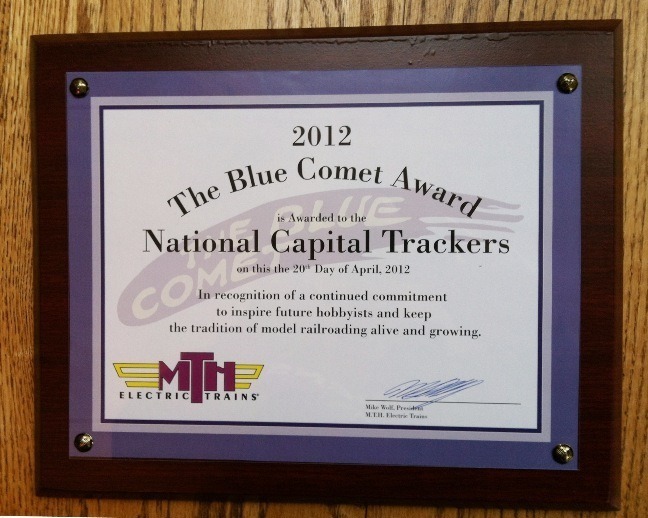 Almost twenty years later, the National Capital Trackers are a Fair Institution. Presenting their popular exhibits with no payment in return, organization members have donated their time, energy, knowledge and love of model trains to the estimated 1 .5 million Fair visitors since their initial participation. For more than 20 years, the National Capital Trackers have been a valued part of the Fairfax community, providing tens of thousands of hours of support to the Celebrate Fairfax! Festival, Fall for Fairfax Kids Fest and other area events. 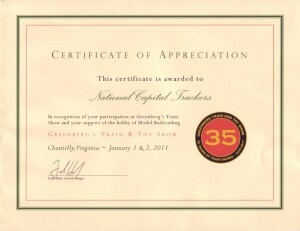 Started by just five members in December of 1990, the organization has been featured at the Smithsonian Institution, the Fairfax Station Railroad Museum, on the Ellipse the National Christmas Tree, at the National Museum of the Marine Corps, and many other area events. 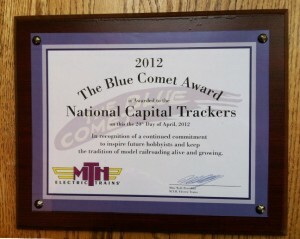 The Board of Directors for Celebrate Fairfax, Inc. is proud to recognize the National Capital Trackers as the 2012 James M. Scott Community Spirit Award recipient”.